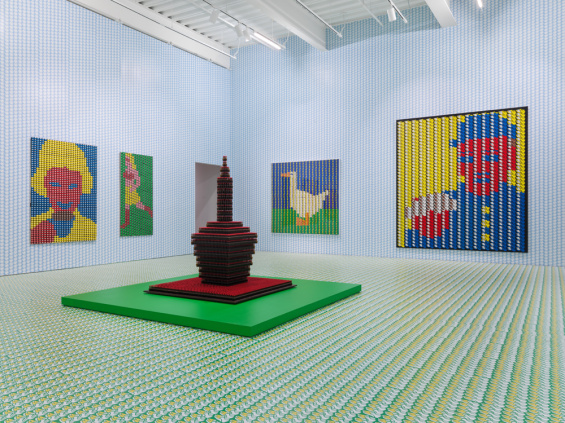 Join us for Family Day presented in conjunction with the exhibition “Thomas Bayrle: Playtime,” on view at the New Museum from June 20 to September 2, 2018. Influenced by consumerism and advertising in 1960s Germany, Thomas Bayrle’s works combine endlessly repeating units to create large, complex images. These “superforms” appear computer-generated at first glance, but most are hand-drawn by the artist. Inspired by Bayrle’s works, families will be invited to play with images to make large composite pictures of their own. Additional support provided by the May and Samuel Rudin Family Foundation.